It is a new year and the vines are dormant. In regions across the West Coast, much-needed rain is falling. But on the East Coast, the vines are buried under snow. As I see friends post photos of being in the snow, I am reminded about my visit this time last year to Loudoun County in Northern Virginia where I went to explore the wines. There are approximately 250 wineries in Virginia. Loudoun County is considered the wine region of Washington, D.C. Located one hour outside of the nation’s capital, Loudoun is home to more than 40 wineries. The first vines were planted in 1981 and the region has exploded since. Loudoun County is divided into five distinct geographic sections – northern, western, southern, central and eastern. 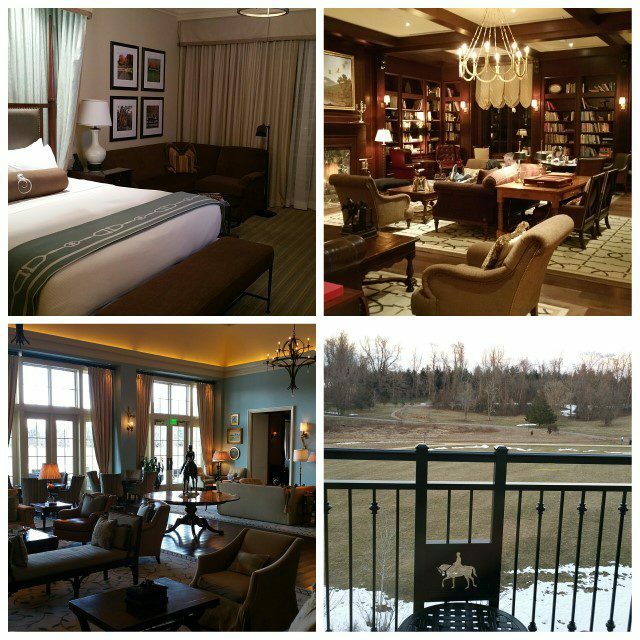 For my exploration of Loudoun County, my home base was in Middleburg in Southern Loudoun at the Salamander Resort and Spa. In the middle of horse country, this luxury retreat sits on 340 acres and includes 168 rooms, a 23,000-square-foot spa, equestrian center, culinary garden, cooking studio and restaurants. Owned by Sheila C. Johnson, co-founder of BET, Salamander Resort and Spa has a welcoming and homey feel that would warm you in the cold of winter. While I would have loved to just curl up on a couch in front of the fireplace in the living room of the hotel with a good book, I ventured out to visit some wineries in the area to get a sense of the region. Doug Fabbioli started Fabbioli Cellars in 2000 when he bought the property. Fabbioli began his career in the Finger Lakes and then spent 10 years at Buena Vista Winery in California where he was the barrel enologist. When he and his wife moved to Virginia to be closer to her family, he began working as the winemaker at Tarara Winery for four years. At Fabbioli Cellars, Fabbioli focuses more on red wines, such as cabernet franc, tannat and petit verdot, as well as hybrids. 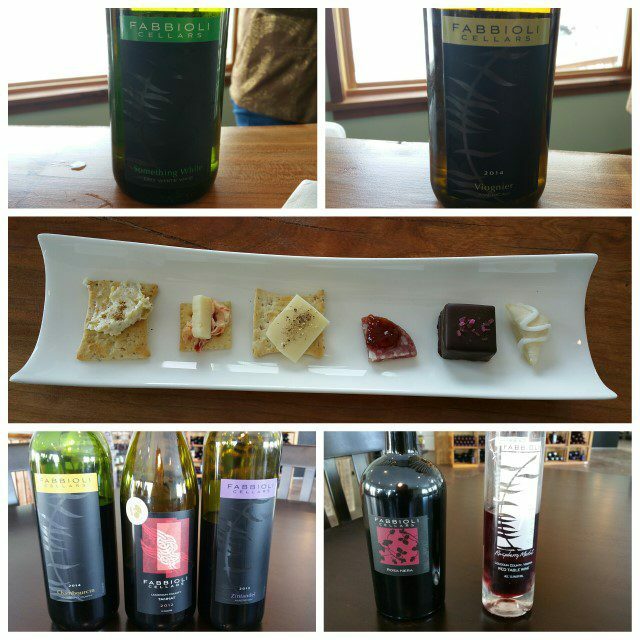 The third winery in Loudoun, and the 76th winery in the state, Tarara Winery was founded in 1989 by Whitie and Margaret Hubert. Winemaker and general manager Jordan Harris, who moved from Canada, joined Tarara in 2007 and was named one of Wine Enthusiast Magazine’s 40 Under 40 in 2013. 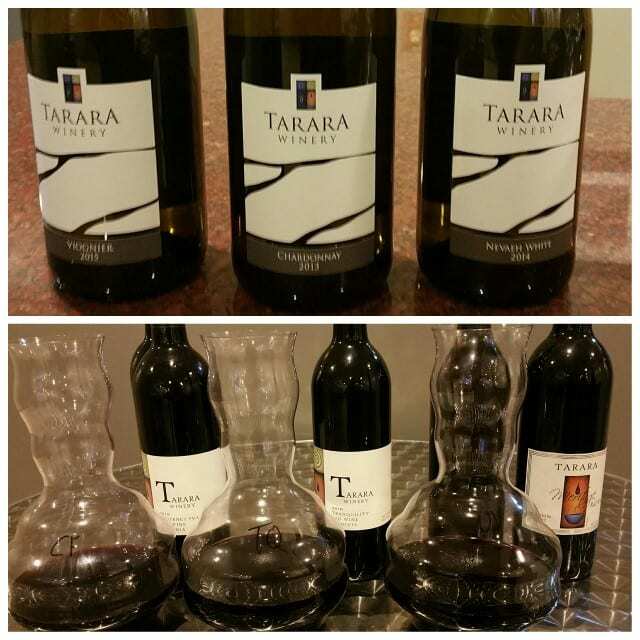 When Harris first joined Tarara, he focused on following market trends and making big wines. But since 2014, he has been focused on making wines more terroir-driven, rather than grape-driven. 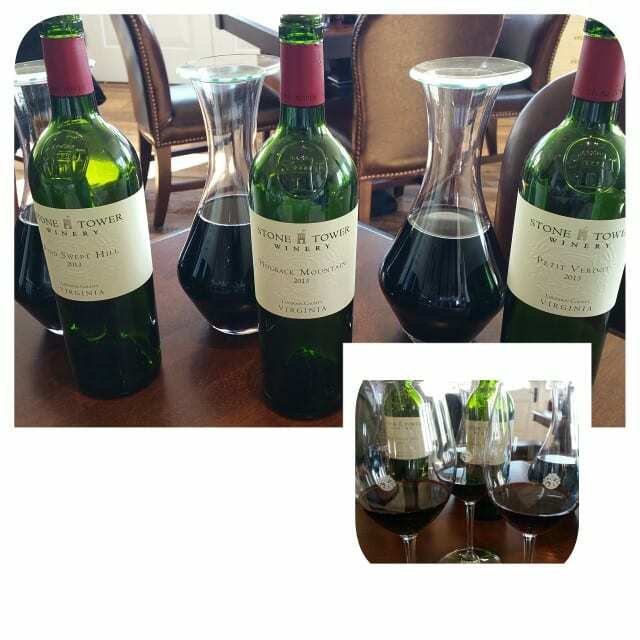 While the region does not have vigorous sites and there is no diurnal shift, Harris found limestone and rocks in the subsoil, which is reflected in the wines. David Greenhill purchased the property in 2013. A total of 128 acres, 11 acres were originally planted in 1985. Today there are 20 acres planted to grapes as well as a manor house that was built in 1863. Winemaker and chief commercial officer Sébastien Marquet is originally from Burgundy and has worked around the world before settling in Virginia. 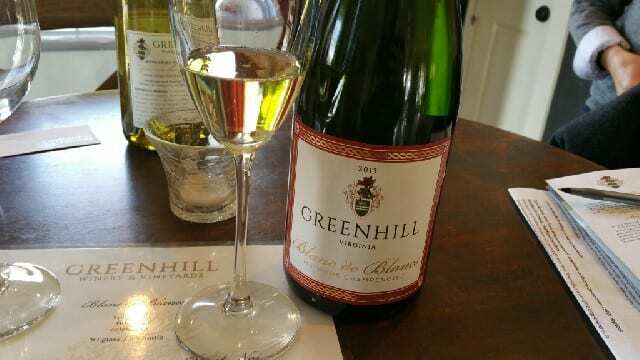 Greenhill Winery produces a chardonnay-based blanc de blanc sparkling wine, Bordeaux-based red wines, riesling and chardonnay, as well as seyval blanc, a French-American hybrid grape. The property is also home to a herd of 21 Charolais cattle, which are native to Burgundy and two colonies of honey bees. Stone Tower Winery started planting chardonnay and viognier in 2009, followed by Bordeaux grapes in 2010 and sauvignon blanc and Semillon in 2013. Located on 306 acres on Hogback Mountain, there are fifty-five acres planted to grapes. While the vines are young, Stone Tower is also purchasing fruit from California and Oregon. Stone Tower Winery, one of the largest wineries in Loudoun, has a beautiful facility that can accommodate large groups with both indoor and outdoor spaces and views of the vineyards. 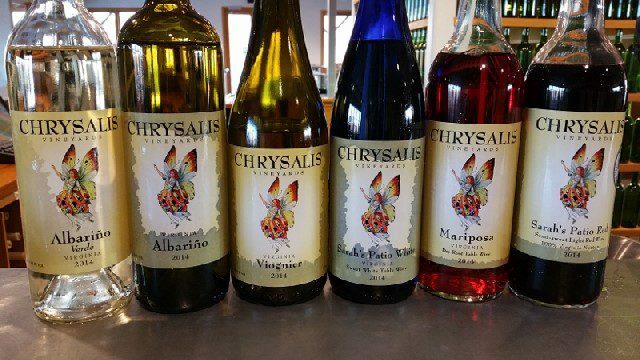 Chrysalis is home to the world’s largest planting of the native Virginia grape Norton. Owner and winemaker Jennifer McCloud first fell in love with Norton, and other odd varieties, after attending the American Society of Enology and Viticulture. Today, she has more than 400 acres surrounded by the Bull Run Mountains, where McCloud believes is the best place for Norton to ripen. In addition, McCloud grows viognier, petit verdot, tannat, fer servadou, petit manseng, albariño, tempranillo and Graciano. 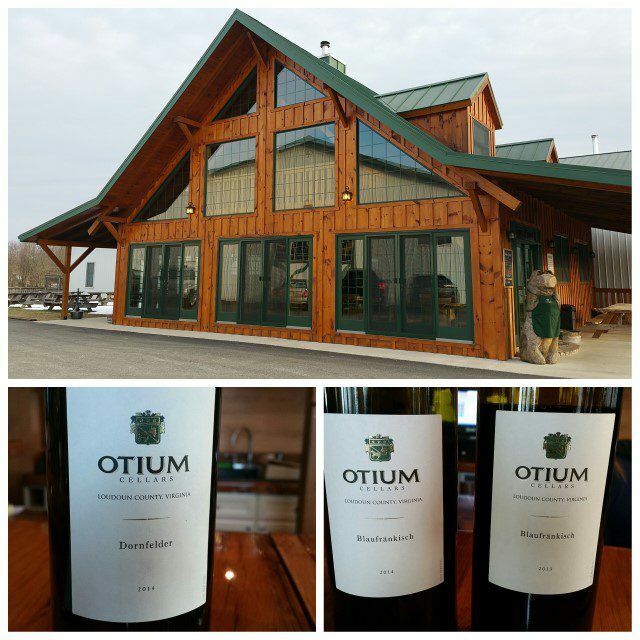 Planted in 2007, Otium Cellars focuses on German varietals. Blaufrankish, dornfelder, lemberger and grau burgunder are planted as well as chardonnay, cabernet sauvignon and malbec. Set on a hillside, Otium Cellars is located outside the town of Purcellville in Western Loudoun. Otium Cellars is part of Goose Creek Farms, an equestrian facility dedicated to raising world-class Hanoverians. In addition to wine, Loudoun County is home to breweries, cideries and distilleries. 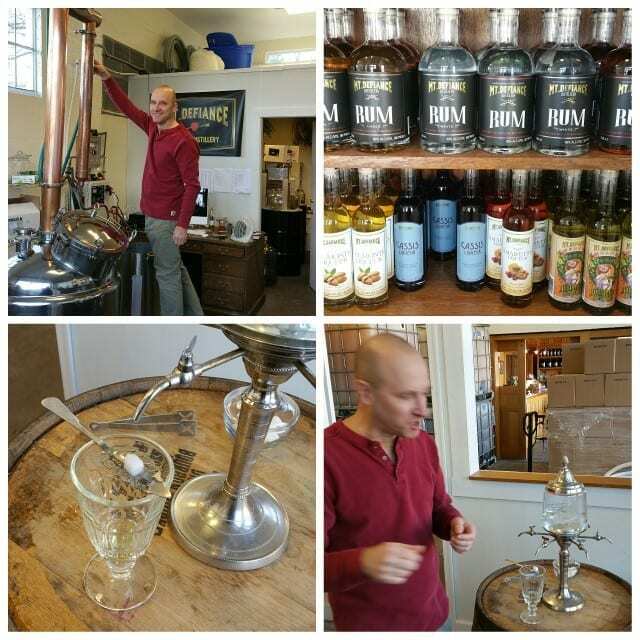 While my visit was focused on wine, I did visit two local distilleries as well. Distiller Peter Ahlf began his career working for NASA. He later began woodworking which offered more tangible work. Ahlf was doing the woodwork in the tasting room at Mt. Defiance when he was offered the role of distiller. A home brewer, Ahlf found distilling a good balance combining his scientific background with creative work. Mt. Defiance started as a cidery in August 2014 and began distilling in January 2015. Ahlf produces rum, brandy, liquors and absinthe. Catoctin Creek was started by Becky and Scott Harris in 2009. 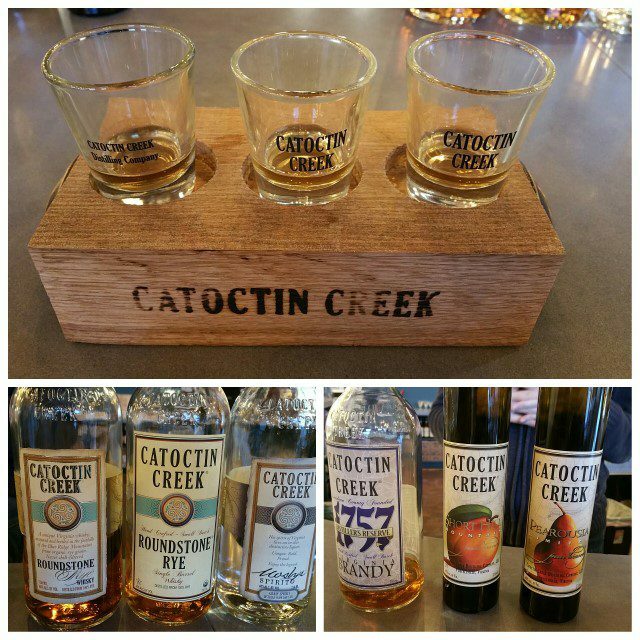 Catoctin Creek is the first legal distillery in Loudoun County since Prohibition. They source from local growers and ferment and distill onsite to produce rye whiskey, straight rye, American-style gin and brandy. They are certified organic, kosher and vegan, using ingredients free of synthetic chemical pesticides and fertilizers and filtered water. It will be interesting to see the region continue to grow and develop. I look forward to returning to explore the area again, but perhaps next time it will be in the fall. This entry was posted in Cocktails, Lifestyle, Travel, Wine and tagged Catoctin Creek, Chrysalis Vineyards, Fabbioli Cellars, Greenhill Winery, Loudoun County, Middleburg, Mt. Defiance Cidery & Distillery, Napa Valley Register, Northern Virginia, Otium Cellars, Salamander Resort and Spa, Stone Tower Winery, Tarara Winery, Virginia, Virginia wine, Wine by Allison Levine.